Laura A. Kaster brings to her work as a neutral over 30 years of experience with arbitration, mediation and settlement negotiation in a wide variety of complex commercial and intellectual property disputes. In 2014 she received the Boskey Award recognizing the ADR Practitioner of the Year from the New Jersey State Bar Association. In 2015, she was selected for the Master Mediators Panel of the American Arbitration Association and Who’s Who Legal, Mediation. She is a Fellow in the College of Commercial Arbitrators and an Executive Committee member for the National Academy of Distinguished Neutrals and the New Jersey Academy of Mediators and Arbitrators. She is on the New Jersey Supreme Court Committee on Complementary Dispute Resolution. She serves as a neutral in the greater New York metropolitan area, as an arbitrator and a mediator for CPR (and on its technology panel), the American Arbitration Association, ICDR, FINRA and the New Jersey and New York Courts. She is CEDR accredited and IMI Certified. She is also a member of the Silicon Valley Arbitration and Mediation Center. 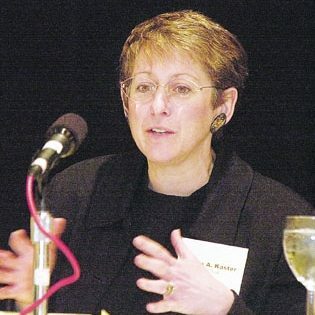 Ms. Kaster is President of the Judge Marie Garibaldi Inn of Court, devoted exclusively to alternative dispute resolution, and a past Chair of the NJSBA Dispute Resolution Section. She has published and spoken widely on issues involving arbitration and mediation. She is co-editor in chief of New York Dispute Resolution Lawyer, the Journal of the NYSBA Dispute Resolution Section and a member of its executive committee. She is also an adjunct professor of ADR at Seton Hall Law School and a member of the Center for Effective Dispute Resolution (CEDR) Global Mediation Panel. She was chief litigation counsel for AT&T Corporation and AT&T Labs for almost 10 years. Prior to her work at AT&T, as a partner at Jenner & Block, where she worked for over twenty years.